Right now, over 3,400 Nebraska DREAMers and their families live in uncertainty. Unless Congress passes a solution that allows hard-working Nebraskans who have spent nearly their entire lives here to keep living, learning, and building their careers, all communities will suffer. 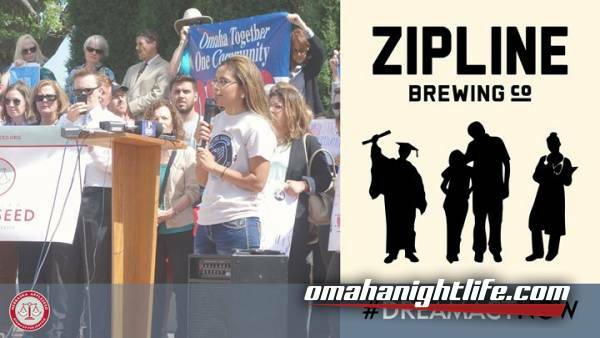 Come join us on Saturday, February 3, to hear from a young Nebraska DREAMer about why this is important to both their family and our communities that everyone be allowed to contribute. Enjoy delicious local beers from Zipline Brewing Co., and $1 from every drink purchase will go to support Nebraska Appleseed's work to fight for DREAMers and their families to have the opportunities that everyone should have in the state we call home.